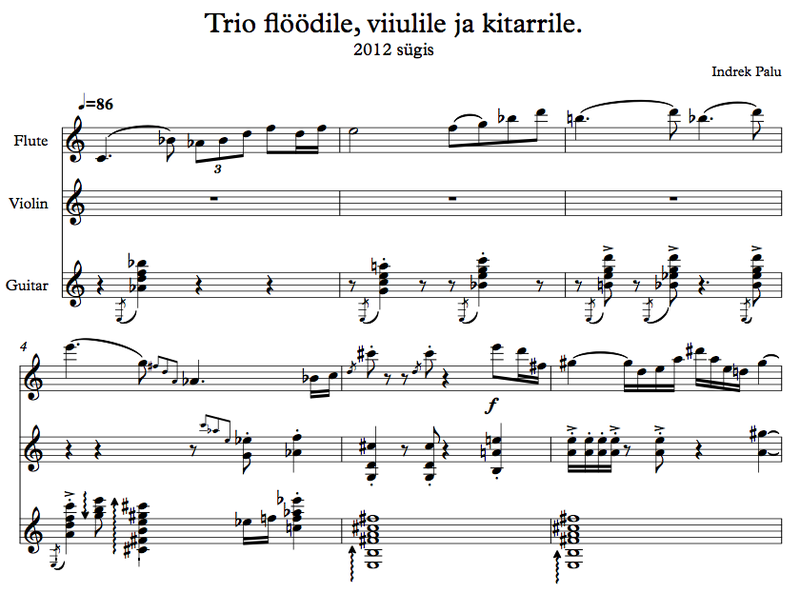 In autumn 2012 we premiered this piece in a cold church in Pärnu. Now, after a few months we gathered again in sunny Tartu to record this piece in a live setting. 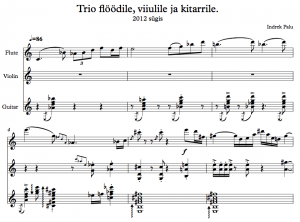 The composition was a part of Indrek’s composition studies at the Estonian Academy of Music. Performers: Leonora Palu (flute), Indrek Palu (violin), Kristo Käo (guitar).